The conference center in Panmunjeom is surrounded by the Joint Security Area (JSA) and measures 800 meters in diameter. 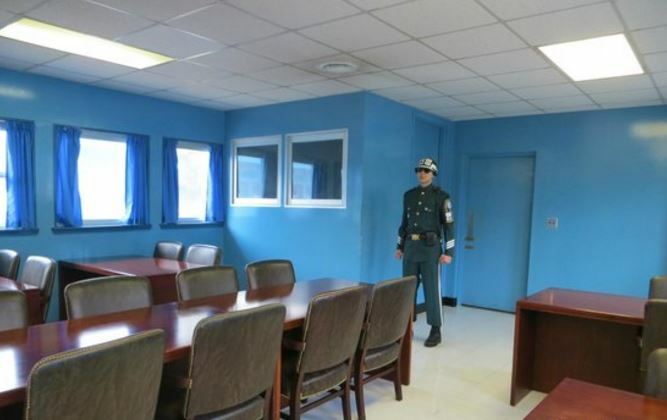 It is the only portion of the Demilitarized Zone (DMZ) where North and South Korean forces stand face-to-face. It was used as a filming location of the movie “JSA (Joint Security Area).” It was also the site of military negotiations between North Korea and the United Nations Command (UNC). It has now become one of the most visited tourist sites of the DMZ.